This is our way of understanding social media projects: Make the brand present in the social relationship platforms that its consumers use by contributing with something that interests them. 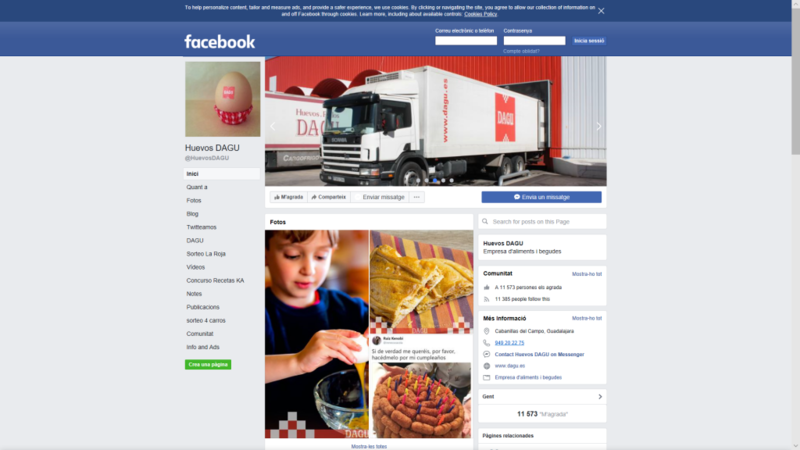 Since 2012 we collaborate with DAGU S.A. in the strategic direction of communication and in the management of its social communication channels under the profiles of @huevosDAGU on Facebook, Twitter and Pinterest. 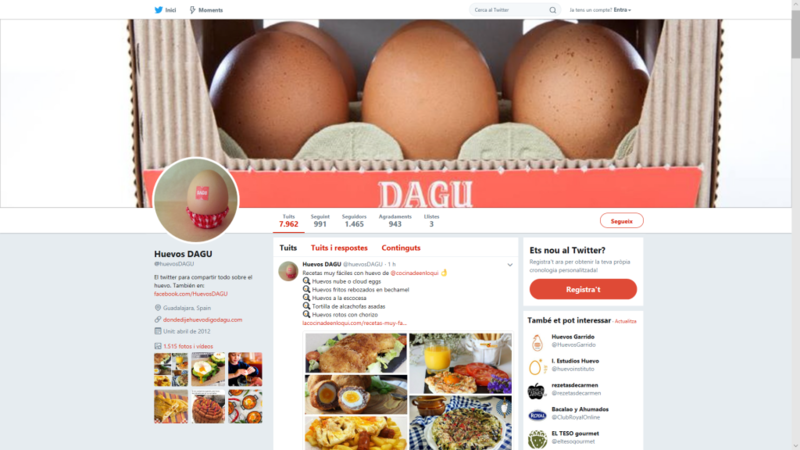 DAGU is a leading Spanish company in the production and commercialization of fresh eggs. 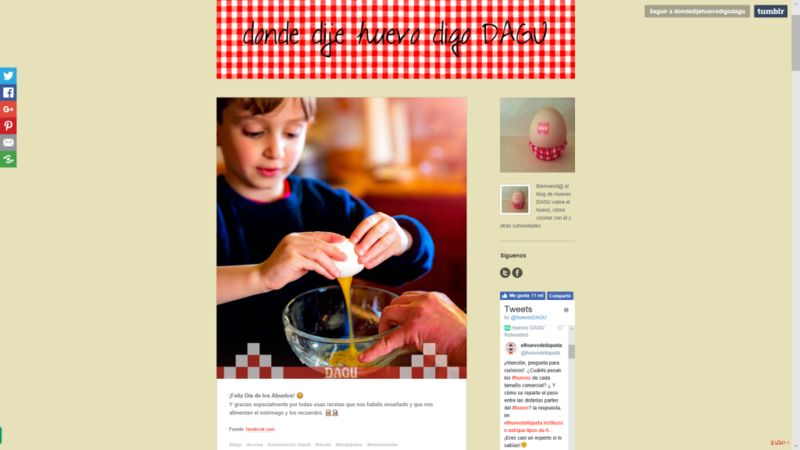 The focus of the project has been the creation of a community of people around a basic food product such as fresh eggs, where the brand offers consumers content that interests their consumers in social networks and in the blog dondedijehuevodigodagu.com.